Isao Suzuki is undoubtedly one of the most talented Japanese bass (and cello) players. 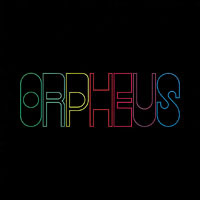 Before Orpheus, he has wowed the world with his earlier Three Blind Mice releases such as Blow Up! and Blue City. For this trio album, he is joined by another star player of the label, pianist Tsuyoshi Yamamoto. While Yamamoto's presence and contributions are large, this is clearly a bass-centric album. On both arco and pizzicato, Suzuki's bass tone is full-bodied and his playing is emotional and lyrical. On the title track, he overdubbed cello solos and counterpoints to great effect. A great album overall. Produced by Takeshi Fujii. Recorded at Aoi Studio, Tokyo, in February 1976 by Yoshihiko Kannnari. Blu-spec CD is compatible with all regular CD players. Paper sleeve special limited edition. 3. Who Can I Turn To?